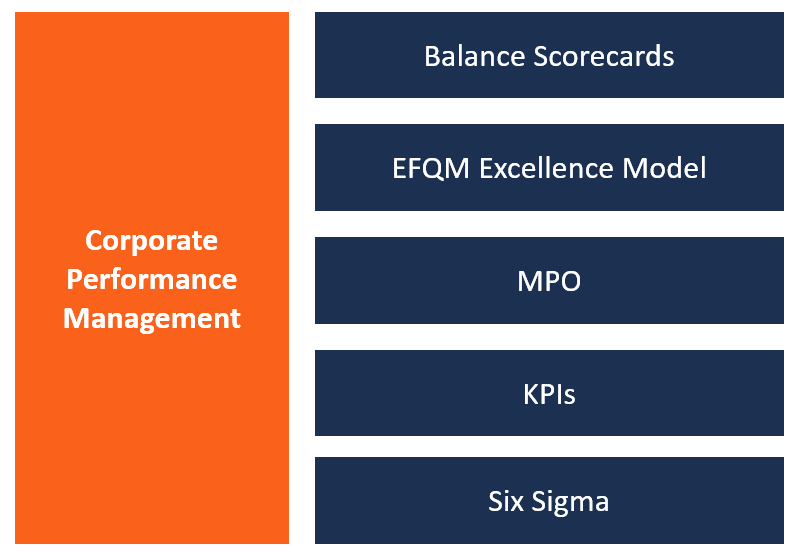 What is Corporate Performance Management (CPM)? Corporate Performance Management (CPM) refers to a tool used by corporations to formulate organizational strategiesCorporate StrategyCorporate Strategy focuses on how to manage resources, risk and return across a firm, as opposed to looking at competitive advantages in business strategy through prescribed methodologies, data analysis, processing and reportingData PresentationAnalysts communicate the output of financial analysis to management, investors, & business partners. This requires focusing on the main points, facts, and recommendations that will prompt necessary action from the audience.Effective data presentation skills are critical for being a world class financial analyst. to monitor and manage the performance of an enterprise. In other words, CPM helps corporationsCorporationWhat is a corporation? A corporation is a legal entity created by individuals, stockholders, or shareholders, with the purpose of operating for profit. The creation involves a legal process called incorporation where legal documents containing the primary purpose of the business, name, and location use proven and tested methods and processes to improve their business management. Although CPM is described as a business intelligence and strategic management tool, its concept is pretty straightforward. For instance, it includes all collaborative efforts, successful performances, and failures of a corporation. 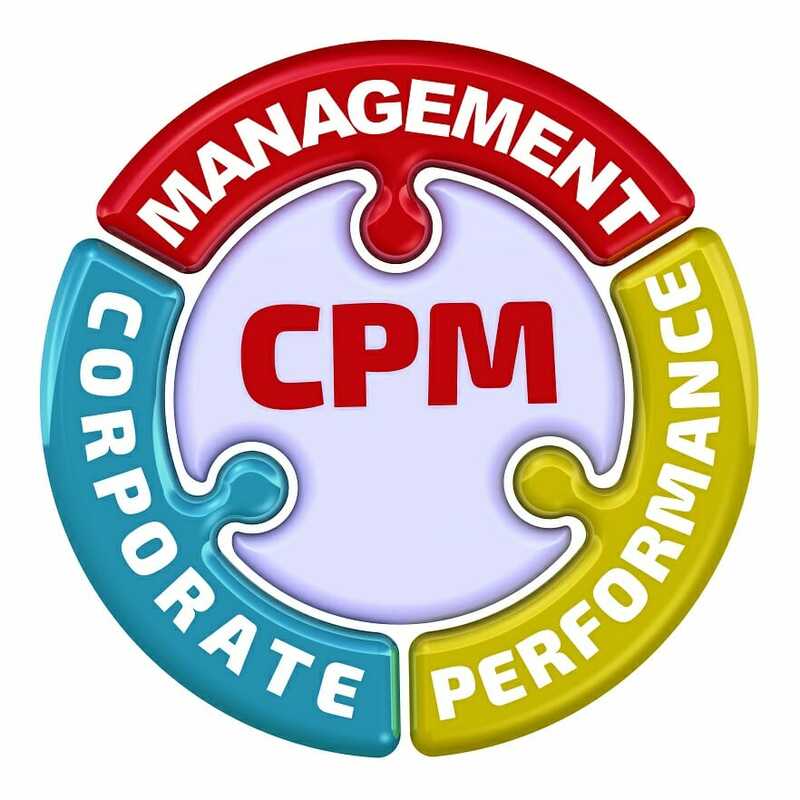 It means that the CPM output is vital to the organization in ensuring it maintains its key metrics to improve its revenues and subsequently grow its profits. Information used in the creation of CPM metrics originates from books of accounts like cash flow statementsCash Flow Statement​A Cash Flow Statement (officially called the Statement of Cash Flows) contains information on how much cash a company has generated and used during a given period. It contains 3 sections: cash from operations, cash from investing and cash from financing., balance sheetsBalance SheetThe balance sheet is one of the three fundamental financial statements. These statements are key to both financial modeling and accounting. The balance sheet displays the company’s total assets, and how these assets are financed, through either debt or equity. Assets = Liabilities + Equity, and income statementsIncome StatementThe Income Statement (or Statement of Profit and Loss) shows performance from operations of a business. The financial statement begins with revenues and. Other sources may include budgeting and forecasting data, which contain reports such as revenues, expenses, and inventory. Albeit, there are many relevant data sources there are not cited in this context, the fundamental goal lies in providing insights using processes like strategic financial planning, budgeting, scenario analysis, forecasting, financial consolidation, and data reporting. It is prudent to caution that corporate performance management is not a strategy by itself. Instead, it is a constituent of intelligent business tools to measure the performance of a company. Therefore, companies should put in place viable frameworks to ensure there is actual performance management. Below are common frameworks. Sometimes in corporate management, it is not apparent what strategic managers mean when they refer to performance management. A worst-case scenario is a confusion between human performance management (HPM) and corporate performance management. However, there are distinctions between the two. In HPM, performance management refers to a subset of human resource about employee turnovers. It pertains to the employees’ productivity, their level of satisfaction, or their operational capabilities. On the contrary, CPM doesn’t even outline or refer to employees anywhere. In fact, it is all about how to communicate, align, and deliver actionable strategies through strategic frameworks, as discussed earlier. Therefore, it’s important to clarify the context of performance management in the discussion. When a company communicates effective performance management across the organization, it must draw critical expectations, as well as expected results. However, it does not always happen smoothly. As a result, CPM faces significant challenges that need remedies in the initial stage as outlined below. This refers to ensuring that every part of the organization processes and all vital elements are aligned with the primary objective such as budgets, project and program management, risk management, etc. A poorly executed CPM will mean absolute failure. That’s why a corporation should put an accessible, elaborate, and appropriate ICT infrastructure to ensure information is easily integrated, processed and reported as per proposed standards. Companies should not just use existing strategies without even focusing on their unique strategies. They should instead focus on articulating their primary goals across the corporations so that CPM and all stakeholders are in line with the set strategies. Though derived from KPIs, KPQ is about collecting meaningful, relevant, and usable data by asking the right questions to the proper departments and sources. Once data has been collected, analyzed, and interpreted, the next course of action is using the information in meaningful ways. That is, ensuring that organizations have empowered relevant departments to use, correct, and improve areas suggested by CPM metrics. In the era of business management intelligence, it’s important that corporations embrace processes automation. Here are some of the benefits of adopting a CPM solution. Performance management software has smart dashboards which contain every measurable metric a management team may need to use in its decision-making. However, the detail is not in the variety. It’s in the ability to read and use data as changes happen in real-time across all parts of the organization. The tools have the intelligence to gather, group, and combine data from multiple sources, be it departments, spreadsheets, or even companies. One significant advantage of CPM is the integration of tools like what-if models. For instance, the model empowers managers to mitigate risks and make informed decisions based on the simulation of the best-worst case scenarios. Performance management tools enable managers to have ease of access to information while still fostering accuracy and quality. CPM tools are not only locally integrated but also cloud connected to allows all users to stay in sync across all departments. With the wide range of options in the market, it can be difficult to choose a high performing CPM software. Therefore, below are two fundamental elements to consider when shopping for a CPM solution. A good product must have positive feedback because it drives satisfaction. The opposite is also true for an average product. However, there is an exception to this rule. Some companies may have a great product, but they are relatively new in the market and are yet to receive some feedback. The best way forward, in this case, is to use their trial version before committing to purchasing the full package. Even though it’s not always true that reputable businesses will attract excellent ratings, these providers have the resources, significant market share, and a wide range of options. Meaning, their CPM solutions will probably make the grade. Business CycleBusiness CycleA business cycle is a cycle of fluctuations in the gross domestic product (GDP) around its long-term natural growth rate. It explains the expansion, peak, recession, depression, trough, recovery, expansion, and the entire business cycle keeps repeating in this loop. See examples and descriptions of the stages.